Ik heb veel bewondering voor het feit dat Max en Esther met hun betrekkelijk kleine organisatie zoveel doen. Leszek (chairman of HRIF) returned last week from Kurdistan, and have visited remote camps, far away from the cities. And witnessed the difference between the camps. Those camps close to cities are fully equipment with living container, airco and satellite. The camps in rural were completely the other way around. 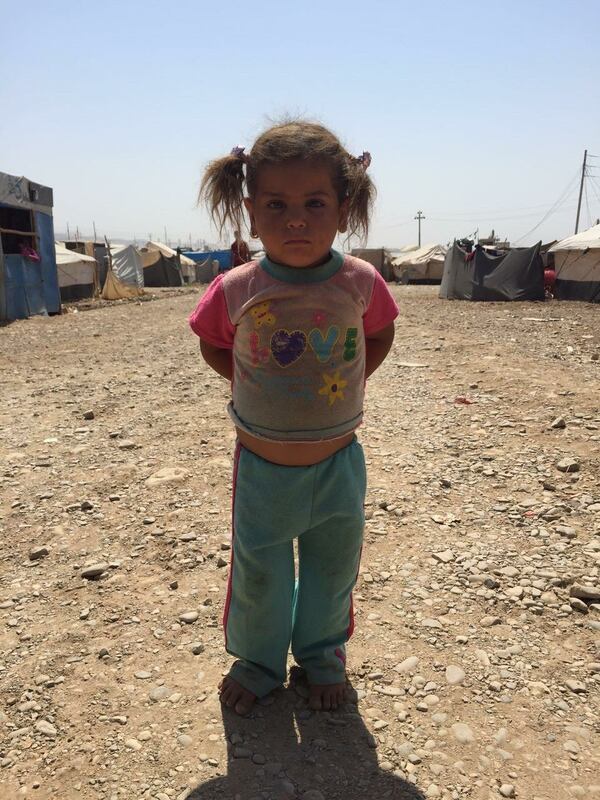 People have to survive in temp up to 50 d.c. ,60 % of children’s do not even have shoes. Tomorrow next truck with medicines and new clothing will be loaded at our warehouse. We ara very afraid for coming winter period! Gepost door Maarten Koel op 11:32 a.m.